Jimmy Greenhoff Manchester Utd signed 10x8 inch photo. Jimmy Greenhoff, Manchester Utd, signed 10x8 inch photo. 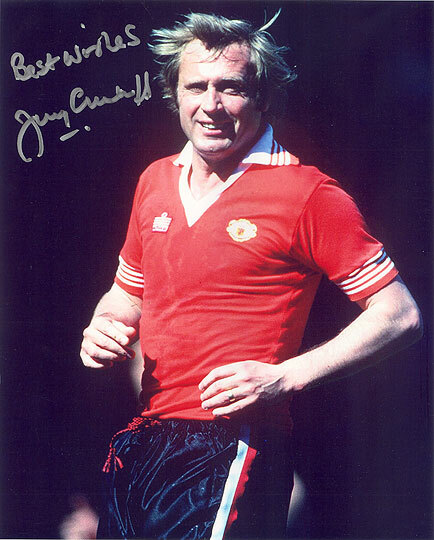 10x8 inch colour photo personally hand-signed in silver sharpie pen by Jimmy Greenhoff, Manchester United FC. Greenhoff played as a striker for Man Utd from 1976-1980. He scored the winning goal in the 1977 FA Cup final against Liverpool.